On Saturday, March 12, 2005, NCGS members participated in a unique field trip experience. The Colorful Geology of the Fremont Area, led by Dr. Joyce Blueford of the Fremont Math Science Nucleus and Paul Belasky of Ohlone College introduced their audience to educational activities, wetlands preservation, and Quaternary fossil discoveries that are part of Fremont’s surprisingly rich contribution to East Bay geology. That morning, members assembled at the Math Science Nucleus off Fremont Boulevard. This unique nonprofit educational facility includes laboratories, a classroom, a small store stocked with earth science kits and collectibles, and is also the site of the Gordon Discovery Museum. The latter displays Pleistocene-Holocene fossils that were collected by San Leandro school teacher Wesley Gordon, who had enlisted a small group of grade school students to help him excavate the Fremont area fauna he had discovered in the late 1930’s. Dr. Blueford is a former USGS paleontologist and sedimentologist who specialized in microfossils. She helped establish the marine sediment stratigraphy off the coast of Sakhalin Island in the Russian Far East, just south of the Kamchatka peninsula and the Sea of Okhotsk. While at the USGS, Joyce helped found the Math Science Nucleus, and is now a permanent staff member. The Math Science Nucleus provides classes and instruction to K-12 students on basic sciences, the earth sciences, and other natural science topics. It provides public access to the Gordon fossil collection (donated to the Nucleus by Wes Gordon’s son, Phil), sponsors student essay competition for entrants from Joyce’s home state of New York, works to help restore the local watershed and the Tule sag ponds at Tyson and Stivers Lagoons, is actively translating storybooks and science literature for students in Eritrea, Africa, provides affordable science instruction resources for local K-12 teachers, leads field trips, and hosts an excellent website. Joyce provided a superb introduction to the Math Science Nucleus’ activities, and Phil Gordon, Wes Gordon’s son, was available to answer questions about the outstanding Gordon fossil exhibits. Dr. Blueford then took the group to the Tule Ponds at Tyson Lagoon. Located astride the Hayward fault on Walnut Avenue in Fremont, this is just one small aspect of the Alameda Creek Watershed Management Program. A consortium of sponsoring agencies, including the East Bay Regional Parks District, the Alameda County Water District, the Alameda County Resource Conservation District, The National Resources Conservation Service, Alameda County Public Works, Zone 7 Water Management, Hetch Hetchy Water and Power, and the City of Livermore have joined forces to address watershed management needs for agriculture, flood control, storm water quality, natural resources and wildlife, recreation, and reliable water supply to the public. 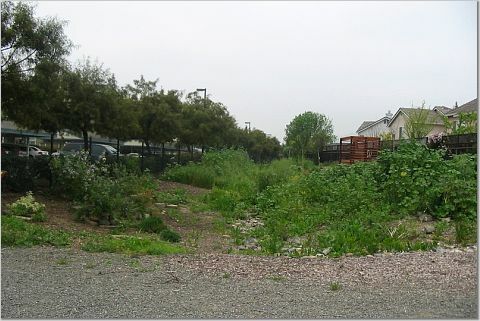 Retired Alameda County Public Works Agency engineer Richard Wetzig conceived and designed the storm water treatment project on the 14-acre Tyson Lagoon site. 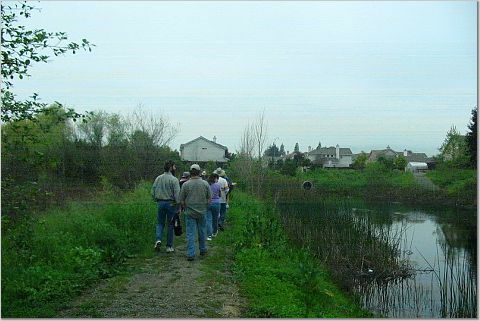 The Alameda County Flood Control and Water Conservation District undertook the project in 1998, combining both a natural and a constructed wetland into a single ecosystem. 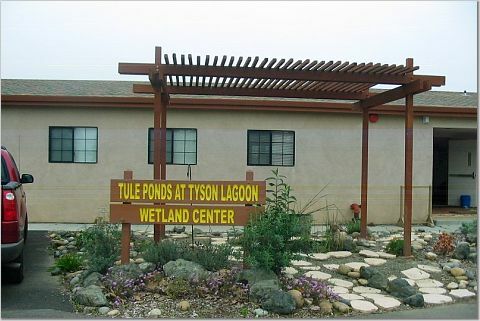 The Tule Ponds at Tyson Lagoon is part of the Mowry Slough watershed. Tyson Lagoon is a sag pond cradled between two splays on the Hayward Fault. This site features an innovative engineered storm water treatment complex designed to pacify runoff from surrounding urban dwellings and to remove heavy metals and other contaminants from the water. 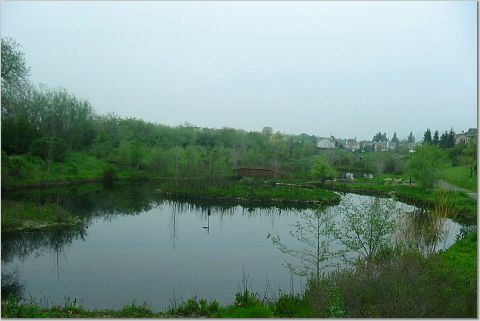 It showcases complementary natural and manmade wetlands in a unique urban wildlife sanctuary. The site has a wetlands museum complete with a panoramic view of the pond system. Exhibits address the local flora and fauna, ecosystem preservation strategies, and host a special display describing thin plastic sheet peels taken from trench walls crossing the Hayward fault—after all, this is perhaps the most heavily dissected fault trace in the Bay Area! The peel process was pioneered by the Japanese to preserve features on transient fault trench walls. Here too it captures the subtleties exposed by trenching—fracture offsets, detailed soil and sedimentary horizons, and a 4,000 year-old possible tremor-induced liquifaction event. The stormwater tule ponds, originally designed by Wetzig to act as siltation ponds and oil/solid entrapment basins to help purify the urban runoff, were unfortunately improperly graded and tend to reverse flow direction during the wet season. 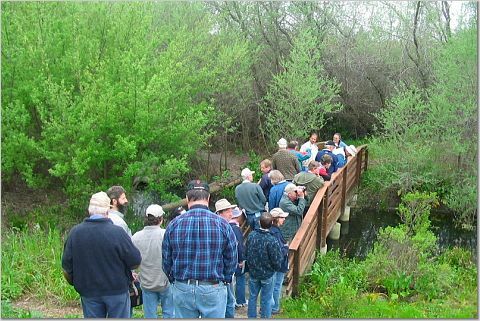 However, the concept is admirable, and certainly improves water quality while providing an educational forum to study and promote wetland conservation. The group left the Tyson Lagoon visitor’s center and carpooled to the second stop in Morrison Canyon. Located in the hills east of Fremont on Walnut Avenue where it crosses Mission Boulevard, the canyon was cut through steeply dipping Cretaceous-Paleocene, middle, and late Tertiary sediments by Morrison Creek. The streams that flow out of the East Bay Hills in this area are spring-fed by sandstone aquifers. Over the years, the Alameda Creek Watershed sustained by this and other drainage systems in the East Bay Hills have been modified by Alameda County Engineers for flood control purposes. Water flow has historically been heavily taxed by human needs as the Fremont area grew. 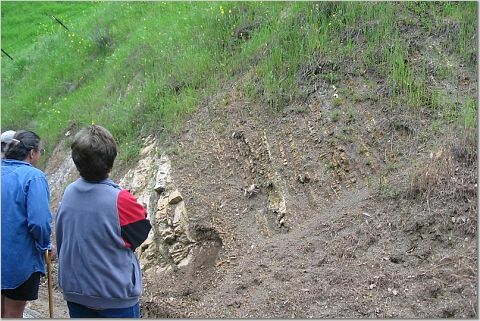 The group drove up the steep two-lane country road, parked, and then trekked uphill though the late Miocene Briones Formation (sandstone, siltstone, pebble conglomerate, and marine shell hash) into the middle to late Miocene Claremont Formation, a bedded chert to laminated siltstone equivalent of the Monterey Formation. The Briones is a stalwart East Bay unit that contains pebbles of black and red chert, quartzite, andesite, argillite, siltstone, basalt and felsic tuff, and vein quartzite. 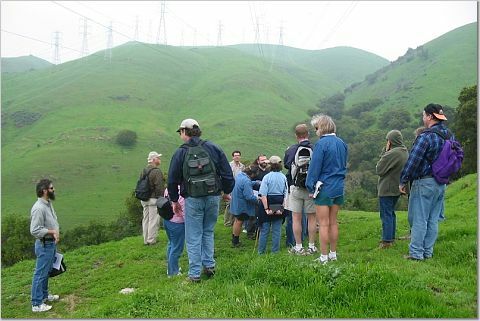 It is a resistant unit that forms Mission Peak and other high ridges in the East Bay Hills. The section the group traversed is part of an east-vergent thrust on the west limb of a syncline compressed by Franciscan terrain accretion to the Diablo Range. Drag folds are evident as the thrust plane is approached. As streams exit the East Bay Hills, they form gravelly to clayey alluvial fan deposits, and levee and flood plain sediments that transition into Bay muds. The car caravan undulated over the country roads to I-680, exited at Mission Boulevard, and continued south to Ohlone College. Lunch was eaten on a large concrete patio bordering a picturesque campus pond along the Mission Fault. 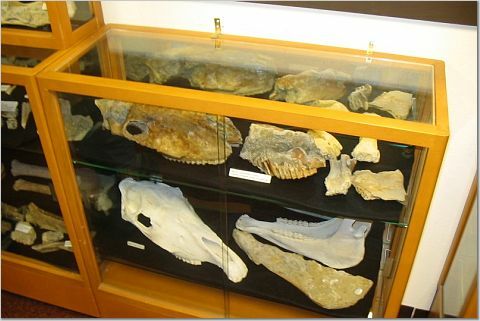 Afterwards Ohlone college professor Paul Belasky took everyone to instruction rooms where fossils donated by Phil Gordon on behalf of his father had been carefully curated. Paul and his assistant Andre, whose superb illustrations of Irvington fauna decorated the room, discussed many of the exhibits on display. Also on exhibit were Ohlone Indian tribe artifacts. The geological and archeological collections are earmarked to be transferred to a more spacious venue where they can enjoy broader public exposure. 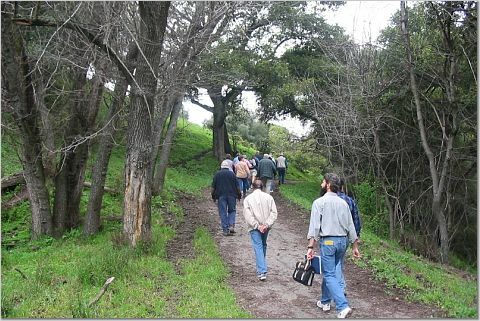 The next series of stops were along campus hiking trails skirting the slopes of Mission Peak. Walking southward, Dr. Blueford noted outcrops of the Late Miocene Briones Formation. This is a ubiquitous ridge-forming unit in the East Bay Hills that underlies Mission Peak, Las Trampas ridge west of Danville and San Ramon in the I-680 corridor, and is exposed on the western flanks of Mt. Diablo. It consists of basal gray to white fine-grained sandstone and siltstone giving way up-section to conglomeratic sandstone, conglomerate, and distinctive shell hash conglomerate / coquina beds. The upper formation reverts back to light-colored massive to cross-bedded sandstone. To the west at the base of Mission Peak Joyce pointed out the toes of massive landslide units crowded by recent housing developments. This area has a rich history of landslide activity, the most recent being the Fremont landslide that produced a large scar on the hillside just below Mission Peak. This event occurred suddenly after prolonged winter rainfall in the late 1990’s, and awoke local residents and city officials to the tenuous stability of the steep slopes south of the campus. After circling back to campus via wooded stream channels cut in the hillside, the group re-assembled and carpooled to a nearby neighborhood just west of the I-680 Washington Boulevard exit, and south of the freeway. Bell Quarry on Sabercat Creek was the final leg of the field trip. Here was where Wes Gordon and his Hayward Boy Paleontologists excavated Irvingtonian faunal fossils in the 1940’s. The quarry, now abandoned and overgrown, lies subtly across the curve of I-680 as it exits the East Bay Hills and turns south toward Milpitas. This small corner of Fremont encompassing Ohlone College, Mission San Jose, and Bell Quarry has a rich history. The Mission, officially known as San Jose de Guadelupe, was founded in 1797 by Franciscan Father Fermin de Lasuen on land prized for its fertile soil and flowing streams. Eventually a reservoir was constructed there to provide water for crops and extensive vineyards, and to power a flour mill. In 1846, the land around Tyson Pond was granted to Juan Bautista Alvarado and Andres Pico by the Mexican government. This grant was nullified by the United States Land Commission in the 1850’s and sold to settlers for $1.25 an acre. One of the purchasers was Englishman William Tyson, who settled in Iowa in 1841 and was drawn to California by the 1849 Gold Rush. After a series of unsuccessful business ventures, Tyson’s brother-in-law convinced him to settle near Mission San Jose on Alameda Creek. He bought a parcel of land that included Tyson Lagoon. Fossils had been recognized in the Irvington District by Orlando Gordon Yates in 1868. Wes Gordon, father of Phil Gordon and a San Leandro school teacher, had begun collecting fossils in the Fremont area between 1934 and 1943. In 1943 he assembled the Hayward Boy Paleontologists to help him excavate the rich fauna exposed at Bell Quarry. This effort continued through the late 1950’s and yielded thousands of fossils, many of which were sent to the U.C. Berkeley Paleontological Museum. 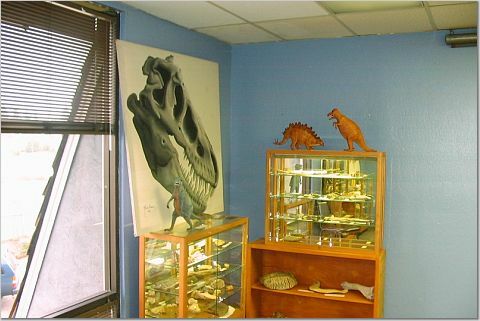 Wes Gordon convinced the San Lorenzo School District to maintain the Discovery Museum for the fossils, but funding ran out in 1997. 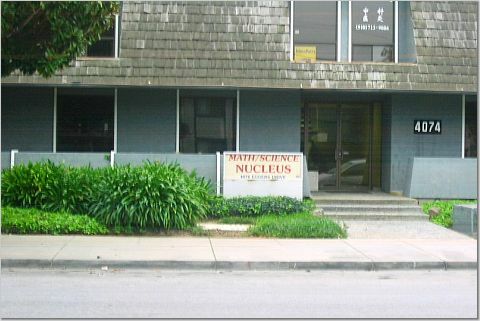 This compelled Phil to approach the Math Science Nucleus for help, leading to the museum’s relocation there and on the Ohlone College campus. Two intensive summers of collection at the Bell Quarry were needed to remove as many fossils as possible before construction of I-680 began in the early 1960’s. This having been done, the quarry was closed and the northern portion purchased by Caltrans. This section has great potential for unearthing more fossils and establishing an Irvington gravel stratigraphy, but access must be granted by Caltrans. Wes Gordon’s contribution to Pleistocene fauna is significant. It was a labor of love that established the Irvingtonian fauna and provides an outstanding basis for Quaternary studies in the Bay Area. Wes Gordon’s efforts recovered 58 faunal species that have been catalogued by the Math Science Nucleus Discovery Museum, at Ohlone College, and at the U.C. Berkeley Paleontological Museum. Now the field trip participants plunged into the abandoned Bell Quarry to view the remains of this extraordinary fossil site. The group wandered through the now overgrown quarry rock piles and slipped into gullies to examine pebbles exposed in the streambeds. It was an exhilarating experience to share the same space that had been scavenged by inspired youths fifty years ago. The NCGS sincerely appreciates the outstanding efforts of Dr. Joyce Blueford, Paul Belasky, Phil Gordon, and their assistants in executing a superb field trip detailing the multi-faceted geology of Fremont. The trip highlighted geological, water management, environmental, and Pleistocene paleontological issues in this area. 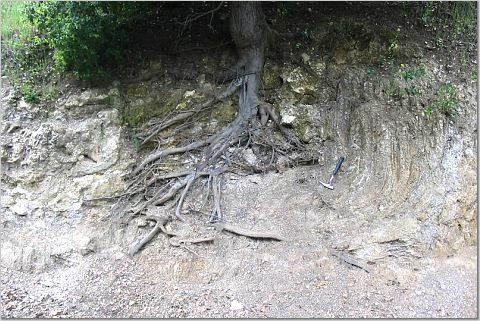 Its major impact was to inform NCGS participants of the rich fauna that resides in the Irvington gravels and the need to continue this research to help determine when Hayward fault movement began, to date local tectonic uplift, and to better characterize faunal evolution during late Pleistocene-early Holocene times.